The new must-have tote bag for the season ahead! The Kit and Kaboodal Marin Tote Bag is compiled of 3 separate bags that can either fit into one making for perfect organisation or styled seperately. The over the shoulder strap is perfect for multi-way use of the bag. 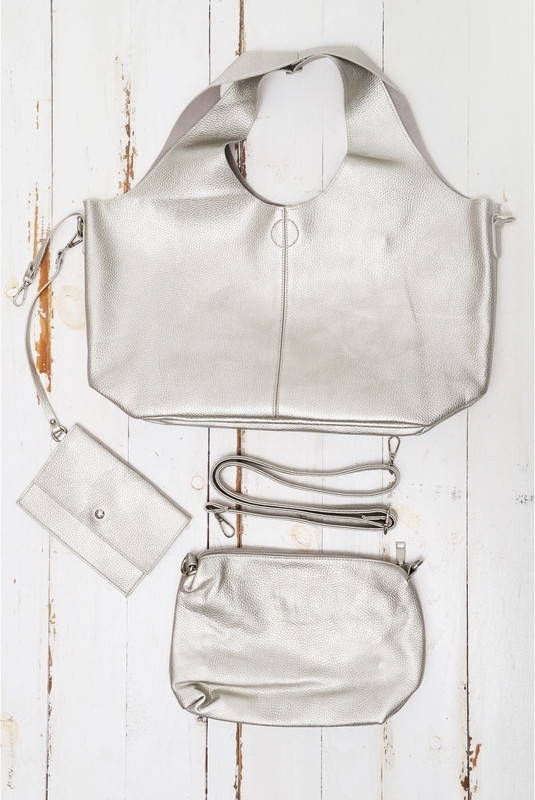 Available in striking metallic colours this bag is on trend, brand new and perfect for you!